The government has launched its first strategy for arts and culture in England for more than 50 years. It is the first white paper on culture since Jennie Lee’s report in 1965. 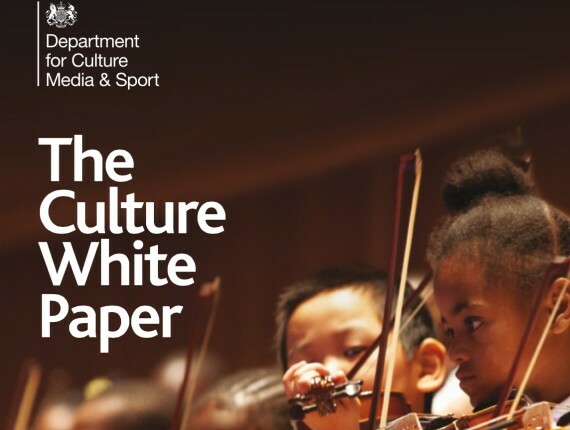 Launched today by culture minister Ed Vaizey, The Culture White Paper has involved consultation with over 230 organisations across England, as well as government departments and an online forum. The strategy presented in the white paper includes a new expectation from government that all publicly-funded arts organisations will increase access for young people from disadvantaged backgrounds. As part of the strategy to improve access to arts and culture, Arts Council England will be expected to regularly report to government on the progress being made in this area. A new Cultural Citizens Programme aims to give ‘behind-the-scenes’ access to the sector. The four-year programme will enable new cultural experiences for children, with opportunities to meet actors, curators, designers and others working in the arts and culture. ACE will pilot the programme this year in the North West, North East and West Midlands, in areas where attendance at cultural events is low. The Great Place Scheme plans to bring national arts and heritage Lottery funders together with a remit to make culture central to the plans and policies of local authorities in England. ACE will work with the Heritage Lottery Fund and Historic England on the scheme which aims to increase local access to culture. The white paper features a range of other measures, including a new virtual Commercial Academy for Culture. This will work with cultural organisations to boost commercial expertise, with more than £60 million of funding available. Arts and heritage groups will be invited to apply to be part of a pilot exploring how they can benefit from matched crowdfunding and grow this new funding stream.